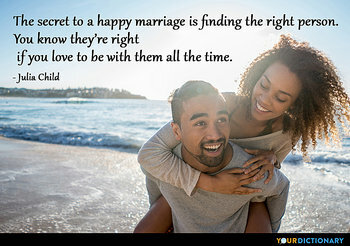 The secret to a happy marriage is finding the right person. You know they're right if you love to be with them all the time.  Sun Myung Moon The Way of God's Will Chapter 2-3 Character Translated 1980.